MÂNTUIREA SE POATE PIERDE, SAU NU? ORICINE REGRETĂ PĂCATUL SE POATE ÎNTOARCE LA ISUS! CE CREȘTEM ÎN GRĂDINA INIMII? RĂPIREA MID-TRIBULAȚIONISTĂ, DE CE 3 ANI ȘI 1/2? ESTE POSIBIL CA RĂPIREA SĂ AIBĂ LOC AZI? CE VOR FACE CEI DOI MARTORI AI LUI DUMNEZEU? CINE SUNT CEI DOI MARTORI AI LUI DUMNEZEU? ​ ESTE POSIBIL CA CEI DOI MARTORI SĂ FIE ÎNGERII, GABRIEL ȘI MIHAIL? CINE POATE LUPTA CONTRA CELUI CARE A AVUT RANA DE MOARTE ȘI TRĂIEȘTE? VA FI MESIA EVREILOR ACELAȘI CU ANTICRISTUL CREȘTINILOR? FORGIVENESS IS STILL AVAILABLE TO THOSE WHO REPENT - RETURN TO THE LORD! ONCE SAVED ALWAYS SAVED - TRUE OR FALSE? WHAT DO WE GROW IN THE GARDEN OF OUR HEARTS? IS IT POSSIBLE THAT JUDAS REPENTED AND WENT TO HEAVEN? WHEN WILL BE THE JUDGEMENT DAY? MID TRIBULATION RAPTURE, WHY 3 1/2 YEARS? WHAT IS THE ”ABOMINATION OF DESOLATION”? WHO IS ABLE TO MAKE WAR WITH THE ONE WHO HAD THE DEADLY WOUND AND STILL LIVED? WILL THE CHRISTIAN'S ANTICHRIST BE THE NEW JEWISH MESSIAH? There really is great benefit in learning from our elders. There have been many, many times that I have sought help and scriptural understanding from my elders or people more experienced. This short article contains a “few pointers" that I have learned and want to share that can help in understanding the Bible more clearly, especially regarding timing and prophecy. Please consider these important thoughts. It is important to realize “the when and the where” in understanding the Bible. Somehow, many of us expect the Bible to be like the world where we live and know, and based upon where ever that is, it can be quite different. For many North Americans, Europeans and others around the world, we know the Bible is Jewish but often do not really grasp just how deeply “Jewish” and "from Israel" it really is. We need to realize that the Bible is "not western" at all and need to learn and understand Jewish customs and history, as well as climate, geography and more, in order to really begin to understand the Bible. The Bible is still timely today but it is also ancient and written from different time periods by various writers. The various books of the Bible were written approximately 1900 to 3800 years ago. We need to keep this in mind to better grasp the Scriptures. This also means researching and seeking to understand different and sometimes very challenging linguistics and phraseology. Not only is the Bible “not necessarily in chronological order” but sometimes the books within themselves are not either. Unless a writer specifies that everything they say is in chronological order, then assuming it all is, would be just that: assumption. For example, the apostle John in the book of Revelation, sometimes speaks about the same subject in three different places with much in between. If it was all in chronological order how could that be? Daniel, in the book of Daniel, in chapter 8, begins it with the vision about the ram and the goat, near a river with holy visitors there including Gabriel. In chapter 9 he has another encounter and more but chapter 12 when closing, it is like he wants to conclude with the holy visit in chapter 8 and it all ties together beautifully in perfection. A person who studies the Bible seriously needs to be on the lookout for these types of connections or they can be missed entirely! We must beware of “assumptions” by basing views on partial information or by the way something might seem. It is important to consider “all” the facts and verses. ﻿﻿Sometimes we are so anxious to correlate a connection that we take two pieces of a puzzle that do not belong together and force them... and then the rest of the puzzle will not go together properly. A great example of this is found in both the Old and New Testaments, where it talks about “the dead, some being raised to everlasting life and some to everlasting death.” It never says both resurrections happen at the same moment. When I was young, I “assumed” it all happened simultaneously. In time and considering the other verses on the matter, I have come to realize that the rapture and the final Judgment Day are a long way apart! There are times when the way “something is worded” is everything and at other times, “the intent” needs to be realized despite the wording. And how are we to know when the difference? The Holy Spirit is here to help us! He directed the writers and it is “His” living Word. 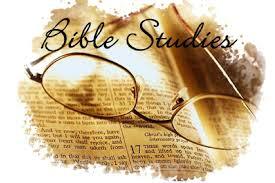 When studying, consider multiple versions and study tools, such as Bible concordances, dictionaries and commentaries. Oftentimes, one version of the Bible is completely sufficient. However, sometimes when we are searching out a matter, it can be very helpful to read not only one's regular version, but others for comparison. The Amplified Bible is excellent on this matter and if one can understand the King's English, the King James Version is a great standard. The main thing is that whatever your main version of Bible you prefer reading, that you have it as your main source and then at least a couple or more, for times of additional consideration and study. Strong's Concordance and other concordances, as well as Bible dictionaries, can be of huge help. These can be purchased to have in hard copy, but many are available for free online. We must always test specific Scripture with other Scripture to make sure of the true meaning. By that I mean, on any given subject, we must take all the verses of the Bible into consideration. The verses that seem to not quite go with the others, more than likely need to be studied much more to find out the true meaning of the matter. The Bible will never go against itself. All theology and doctrine must be in agreement with the other verses on any given subject or will be erroneous. The Holy Spirit is with all born-again Christians, to teach us and help us discern the truth. He is our guide through this life. We need the wisdom, direction and enlightenment of the Holy Spirit. Most of the important lessons of life and God's written Word, are revealed to us as “we grow” in Christ. God and the Bible are not always as we think they are. It is for us to discover who the Lord really is and what His Word really says. We need to understand the books and the writers who wrote them. For example, both John (of the books of John, 1, 2 & 3rd John & Revelation) and Daniel (of the book of Daniel) lived well into their 90's and some suggest that both made it past one hundred. When they wrote, they did so according to what was important to them and not necessarily in chronological order. Daniel wrote in relationship to the political kingdoms he served under for the first six chapters (and told of the spiritual history too) but the rest of Daniel is more of his personal dreams and visions for Israel and the body of Christ. Just realizing that about the book of Daniel has helped me tremendously. Both Daniel and John were incredibly careful when he had a dream or vision, that they sought the Lord and then recorded whatever they were able to receive. Not all was made clear to them and not all is made clear to us. We have to respect the Lord and that He reveals according to His timing and wisdom. No matter how much we want answers. Any prejudice or false concept we have, has the potential to cause error. Sometimes we have premises that are incorrect. How can we build on top of that? Only truth stands on top of truth. The rest will tilt or crumble at some point. So until we get what we have in a correct order, how will the rest ever fit correctly? Here is an example of a personally hindering concept that happened to me. At various places in the Bible, different writers told of “going up" to Jerusalem. And where we live today, when we go north to somewhere, we say we are “going up” to where ever that is. When we go south, we “go down” to somewhere. With this mindset, I completely could not understand how Jesus would “go up to Jerusalem” from Nazareth or Capernaum when it was south of there. Perhaps people living near mountains would never have this issue but until I found out that the only way to Jerusalem, from any direction, is “up” due to its geographical height, I could not understand. Watch out for what "man has added" to the Bible. Originally, most of the Bible was written with little or no punctuation. The Old Testament had little or no vowels. All chapter and verse markers were added to the original works. Beware of some added subject descriptions. Some will say that the verses below the subject title refer to the Second Coming when its the rapture and vice versa. Some Bibles, have pre tribulation concepts built into them. In the book of Daniel, some Bibles have "added alleged facts" whereupon they say that certain verses were fulfilled already in certain ways. Most of what man has added to the original work is beneficial but one should also have discernment about what has been added to decide whether you trust it or not. A believer with an humble heart who diligently seeks the Lord and His truth on any subject has favor with God. Once I earnestly asked the Lord,"How is it that some of these preachers are so famous and sometimes they are teaching falsehoods or unscriptural concepts? They seem to love you Lord and they seem so sincere; but how can this be?" And the Lord answered so simply with these words to my heart: "Pride stops up the ears." The Lord cannot help them, or you and I, or anyone else; when we stubbornly think that we “know” something and in reality, we are really wrong and refuse the correction of the Holy Spirit. The Lord brings down the proud and raises up the humble. And the truth always stands. But until pride is out of the way and a person wants the truth the most, only then can one find it. In closing, I hope that some of these personal considerations will be a blessing to you. The Lord can make the Word of God literally explode wonderfully inside a hungry soul. Some call it “rhema” which to me is like the light coming on in a dark room when all of a sudden, something comes into focus and place. The Bible says "seek and you will find." I kind of see it additionally as, "we have” what “we sought after." Be hungry for the Word of God and seek the truth with all your heart. God will never let you down! An overview of many of the components of the book of Revelation. See some of the amazing correlation of the ancient Jewish wedding customs and the rapture. Discover the real meaning of this often misquoted Scripture. Taking a deeper look at what Jesus said in this verse. Are there events that must be completed first? Jesus is coming for His bride. And He is not eloping. The rapture will be a huge event. Father God will have His Son honored. Something happens in the twinkling of an eye, but it's not the whole rapture. We need to see the bigger picture of all that the Bible says about these times, to understand what is really happening. Is the great trumpet blast of the rapture one of the 7 trumpets of the book of Revelation? See the timing of battles of Armageddon & Gog-Magog. Once the rapture & accompanying events are over, God's wrath begins. The rider of the white horse at the first seal is not the same rider of the white horse at Armageddon. Copyright 2014, revised 2017 E. Cockrell May be used for personal study or instruction but shall not be copied and/or distributed in whole or part without permission or for financial profit. vă rugăm să completați adresa de e-mail. ​To Sign Up for Updates please add ​your e-mail address. Este nevoie de adresa de email ca să puteți primi Newsletters. Vă rugăm să verificați în Spam/Junk. The email address is necessary for us to send you Newsletters. Please check your Spam/Junk folder.